The problem - Kid's spend way too much time playing video games. This problem often causes friction between parents and kid's. This also causes many problems with the children themselves. The solution - A 7-day multipoint programmable timer with a locking case that can be applied to any electrical cord thereby commanding control of the device to which it is applied to. It is like a padlock for electrical cords. How it works - The primary use for this device is aimed at video games but the device is not just limited to video games. As an example a parent could set the timer to operate from 7 to 9 pm on weekdays and 1 to 3 pm and 6 to 10 pm on weekends. This would be the only times the game would operate. This gives the child time to read,do homework,play outdoors etc... The timer can be set for any times the installer chooses. Timer can be bypassed by installer for holidays or sickdays or vacations. The timer sounds an alarm 10 minutes before shutting down. There is also a "snooze" feature that allows time to be extended by 10 minutes to allow proper shutdown to save data or finish a game in progress. When you don't want a child to get into your liquor cabinet....you put a lock on it. When you don't want a child to get into your gun cabinet....you put a lock on it. When you don't want a burgular to get into your home....you put a lock on it. When you don't want a child to spend too much time playing video games....YOU PUT A LOCK ON IT!!! And that's what this invention is like... it's like a padlock for electrical cords. And the best part is that there are no arguments. Simply set times you want your kids video game to be operable, lock the case and CASE CLOSED! Are aggressive kids attracted to violent games or do the games make kids violent? Kids and Video Games: Are You a Concerned Parent? 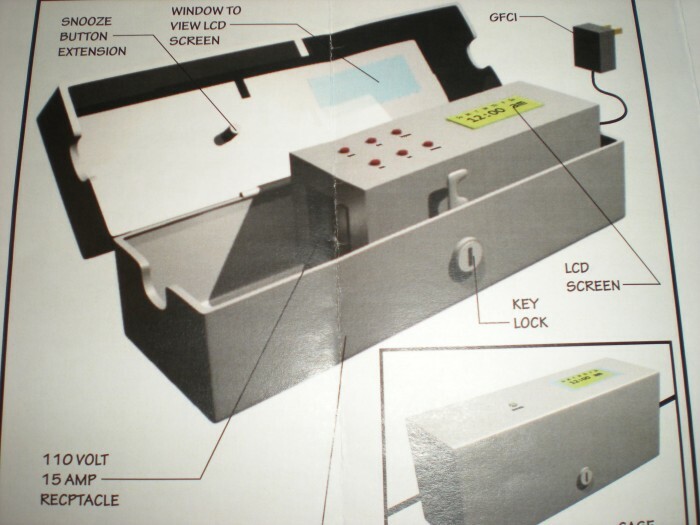 The programmable electrical outlet and keyed lock box for connection therewith is designed to program the output of electricity through an electrical outlet while simultaneously securing a male prong of an electronic appliance inside of the keyed lock box. The programmable electrical outlet includes a display and a plurality of buttons to program the electrical outlet, and an electrical cord with GFCI circuitry integrated into the male plug. The keyed lock box is specifically designed to contain and lock inside the programmable electrical outlet and the male plug of the electronic appliance. The keyed lock box includes a window to enable viewing of the display of the programmable electrical outlet. The keyed lock box also includes a snooze button extension that aligns with a snooze button located on the programmable electrical outlet. You can come to your own conclusion here. The only thing I can offer here is that if you do the google search as suggested above, you will clearly see that this is an ongoing serious problem with children today. I am an inventor. I am not a business man nor Marketing expert by any means. I am in no way qualified to give an opinion on how large the market is for this invention. Please do your own research when considering market potential for this invention. There are 160 million people playing video and computer games in the US alone. In 2011 $25 billion was spent in the US on video games, hardware, and accessories. Again, dont rely on my statistics - do your own research. 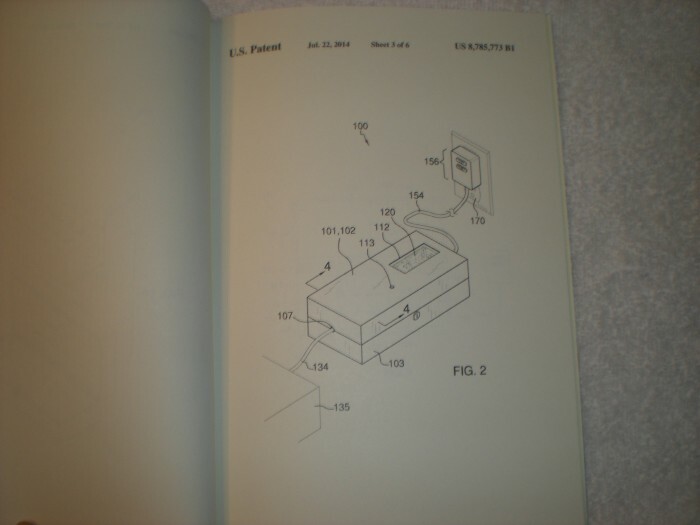 This auction is for the sale of 99% of this patent. 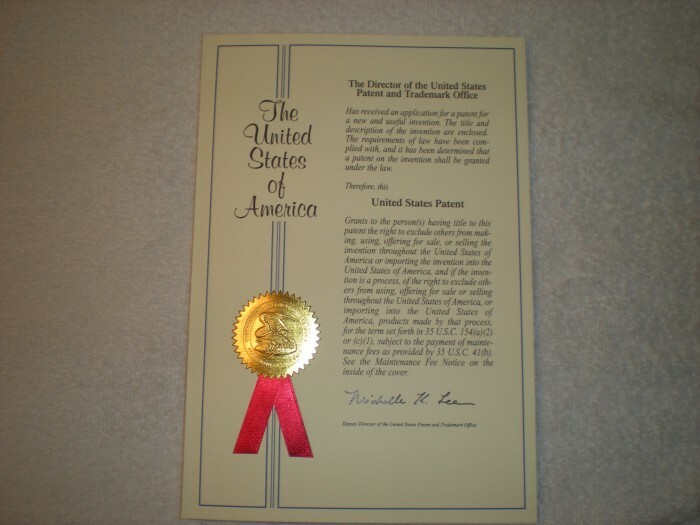 Seller to retain 1% of patent rights. 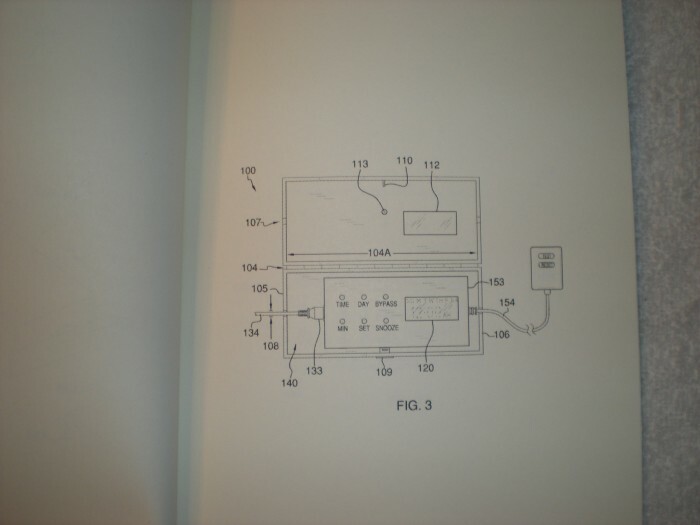 Buyer to make a $500 non-refundable deposit via Paypal within 2 business days which will be deducted from sale price upon completion of sale/tranfer of patent. Buyer will be responsible for all Lawyer/Legal fees related to sale/transfer of patent. Buyer to complete sale/transfer in the state of Rhode Island,USA. 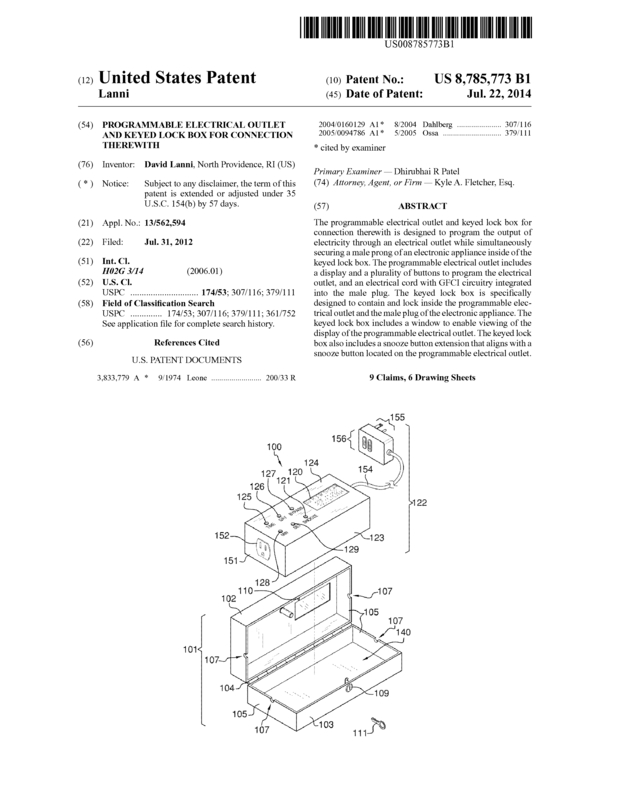 Page created at 2019-04-26 6:36:16, Patent Auction Time.